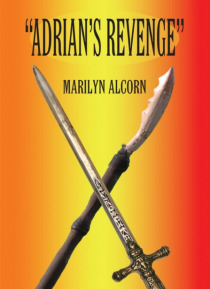 Adrian's Revenge, a quasi-fiction/non fictional tale bathed in a spritual backwash with a protagonist who is haunted throughout the story.Comejoin in on the quest of this modern day hero of a sort that begins inhistoric Spain as its Kings and Queens send braveexplorers or not tothe foreign shores of the Americasto search out the new worldas he searches for answers to questions that have driven him… to seek the truth about why his parents had to die and perhaps why he himself had been preordained to discover the deadly secret surrounding the untimely death of his dearly departed loved ones.Come, read of the other characters, football heroes, and the like who helped Jonathan Jacksonfind his way. Some unwittingly, some unwillingly, but all in the end giving in to the same will,an ultimate will which likewise drove Jonathan and sent an angel to assure him that his quest was not in vain. But instead was a noble, and holy trek through life, the game of footballand a North Americanjourney meant to be.